The Envelope, By Stephen del Mar. 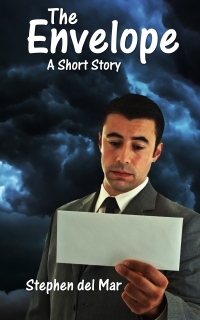 A free short story. A tropical storm is battering Bennett Bay, a small town on Florida’s Gulf coast. Tony’s trying to close a sale on a house. The commission on this property will be a life changer but it just isn’t going to happen. He fights his way home through the storm to find a mysterious envelope waiting for him. Will it add more misery to a bad day or will it be a ticket to move on?